As of February 25, the 2019 Moffitt Memorial Ride is full. This page is only for the events that the OTET Fund actually sponsors. Go to our Home page and click News & Events to get ALL events along the OTET! 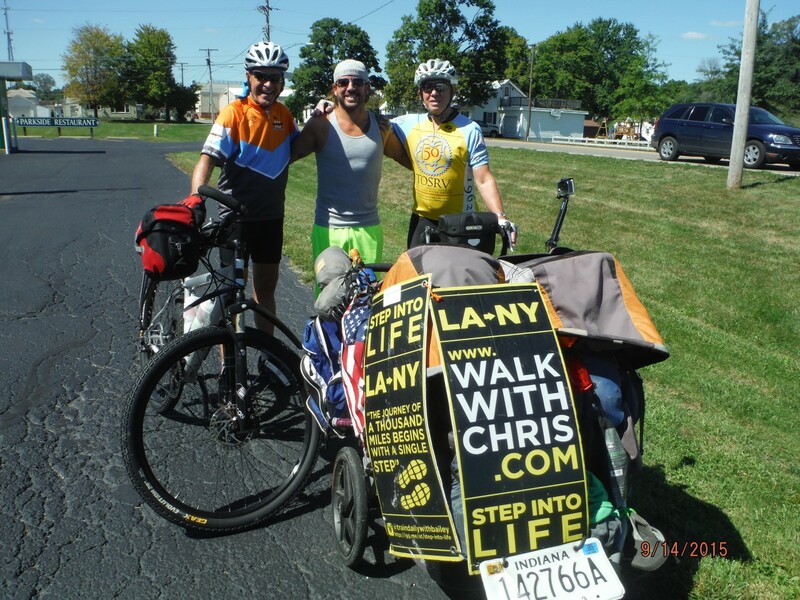 The Ohio to Erie Trail encourages our partners to send us news and events about the trail so we can include them on the News & Events page. Many fund-raisers are held along the trail as are special activities utilizes to get individuals and families out to enjoy the adventures available. 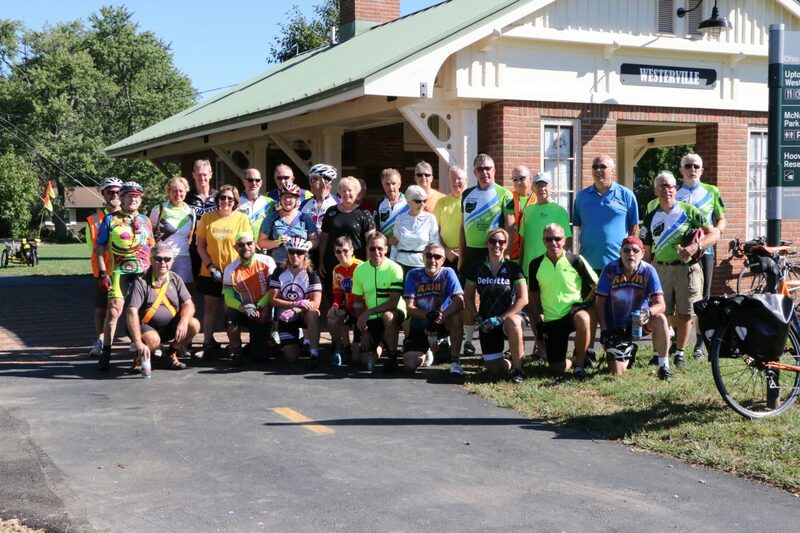 Next year’s seven-day, six-night Ohio to Erie Trail bicycle ride is set for September 7-13, 2019. Reservations can be made through our web site at OhioToErieTrail.org. Ranges between 30 to 67, beginner to intermediate level. Shorter days allow for a more leisurely ride, additional miles on other trails, or site-seeing along the way. Trail surfaces are fine for road bikes, hybrids and mountain bikes. While 90% of the trail is essentially flat, there are some hills along the way but none that are too long to just enjoy walking. Riders stay at hotels at special rates. Fully supported with a luggage/bike vehicle, mechanic and OTET staff. Participants only need to carry what they will need for the day. Support stops are about every 15 miles with water and snacks. The cost is variable, depending on the date of registration, ranging from $700 to $850. A unique aspect of this ride is that much of the costs are considered to be tax-deductable DONATIONS. After the ride, the cost to produce the ride per individual is then subtracted from the amount each participant donated. Riders receive a letter stating how much of their payment was applied without services or goods given in return. For example, riders in 2018 ended up donating about 2/3 of their ride cost. Food and lodging are paid for by participants. September in Ohio is typically dry with temps ranging from morning lows of 45-55° to afternoons of 70-80°. Start in downtown Cincinnati at Smale Park on the Ohio River. This leisurely day allows for stops along the Canal Path including our trail partner bike shop, Ernie’s. Optional: Venture into the Cuyahoga National Park and ride the scenic train back to Akron. 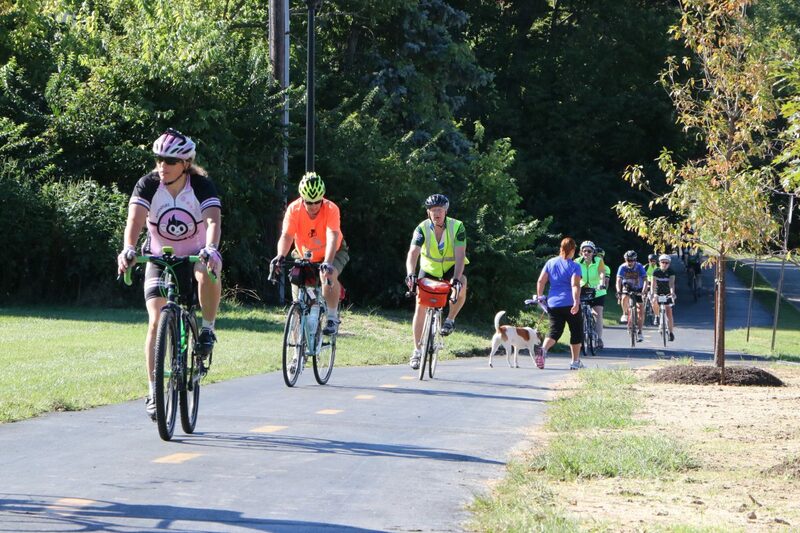 Riders travel through the Cuyahoga Valley National Park, the ONLY National Park in Ohio. There is time to visit museum centers, memorials, and shops. The grand finale is a shared lunch celebration at the Edgewater Yacht Club. There is a small fee of $60 for transportation back to Columbus or Cincinnati after the ride that will be collected when you register. This is for the rider, bike and gear. Flying In To Cincinnati? – If you wish to ship your bike to us before the ride so that a local bike shop can put it together for you all you need to do is ask. We have a bike shop that will receive your bike, put it together and tune it up for you, and save the box for us to ship it back out for you after the ride. The shop is a very reputable shop. You’d ship the bike to them no later than August 30th. They put bike together and we pick it up for you along with your packing materials. At end of ride we take your bike back to the bike shop and they ship it out for you unless you make other arrangements. Currently the cost by the shop is $65 for this service. We do not charge you for bike pick up from the shop or for bringing your bike back to Cincinnati to ship out. You will need to pay for that shipping home through the bike shop folks. We will establish a waiting list on first come basis and if space comes available you will be notified immediately.